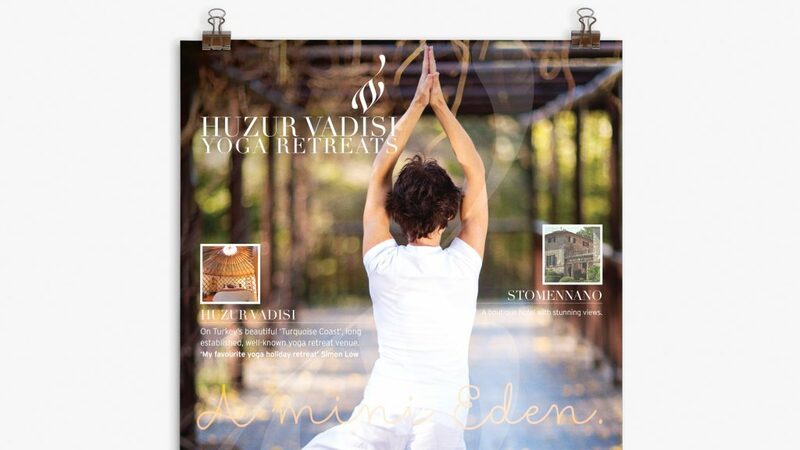 We developed the Huzur Vadisi identity based on the initials but incorporating an element of ‘flow’ to best reflect them, and their yoga retreat venues (Turkey, Spain and Italy – if you fancy it). 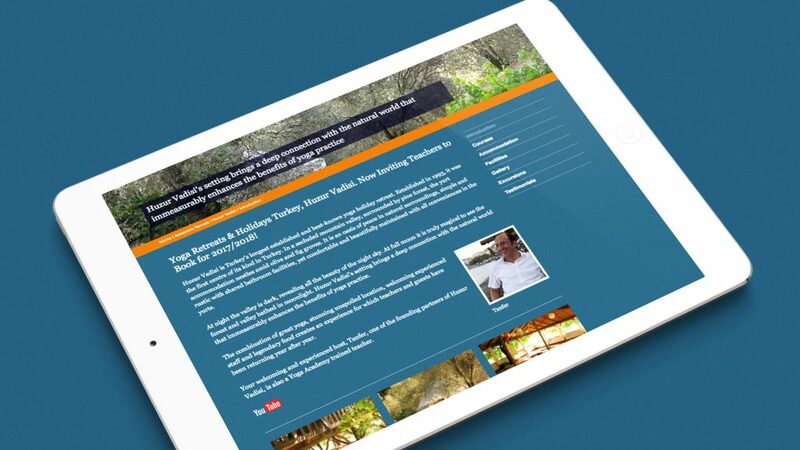 The project included a fully responsive website (a custom WordPress theme) and a range of marketing collateral. The brand appears luxury from the use of a ‘modern’ typeface (hairline serifs) and rich colours, used extensively on the website rather than a white, classical and sparse approach. 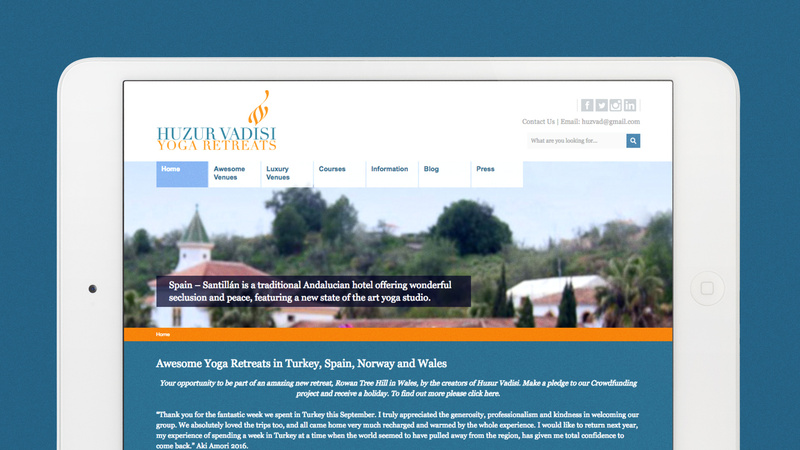 Since beginning work with Liz and David eight years ago, when they designed promotional material for our stand at The Yoga Show, Olympia, we have gone on to work with them on all aspects of our marketing, including most recently our new logo and website. They have consistently provided a great service, responsive to us as clients, incorporating any suggestions in a creative way to present professional and striking designs.